Born: 13 April 1860, Darlington, England. 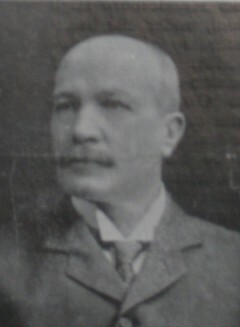 John L. Watson, son of the solicitor John Watson, was educated at Darlington and Durham. He came to the Natal Colony in October 1881 and joined the Natal Police. From 1883 he spent three years in the field with Captain William G. Morris*, who was engaged on the geodetic survey of the colony. Afterwards he spent two years on the Witwatersrand, before returning to Natal to take up a position in the surveyor-general's Office, Pietermaritzburg, in September 1889. On 26 March 1890 he married Johanna Tweedie, with whom he had four children. From 1899 to 1900, during the early part of the Anglo-Boer War (1899-1902), he was leader of Murray's Horse and Colonial Scouts and was awarded a medal with clasp. His hobbies were fishing and shooting, and by 1906 he was the honorary secretary of the Natal Angler's Association. Watson was appointed draughtsman and examiner of diagrams in the surveyor-general's office in July 1894. He was admitted as a sworn land surveyor in 1901. In December 1907 he was given additional duties as acting secretary to the minister of agriculture and member of the Land Board. On 1 January 1909 he succeeded John L. Masson* as surveyor-general of Natal. When the Union of South Africa was formed in 1910 he retained his post as surveyor-general of the province of Natal, until 1914. During these years he was also secretary to the minister of agriculture of the Union. In 1910 he compiled and issued the Natal Degree Sheets, a series of cadastral compilations on 68 sheets at a scale of one mile to the inch (1:63 360). The maps showed features such as rivers, vegetation, roads, towns and other infrastructure. This series of maps was revised during the nineteen-thirties and re-issued on a scale of two miles to the inch (1:126 720). Though not proper topographical maps, they were the only large-scale maps of Natal prior to the 1:50 000 series issued by the Trigonometrical Survey. Natal almanac, directory and yearly register, 1909, pp. 53-54, Land surveyors. National Automated Archival Information Retrieval System (NAAIRS). . Documents relating to Watson, John Lincoln / Watson, J.L.